Hypnotic Glamour Beauty Blog: LipLoob Product Review & Giveaway! 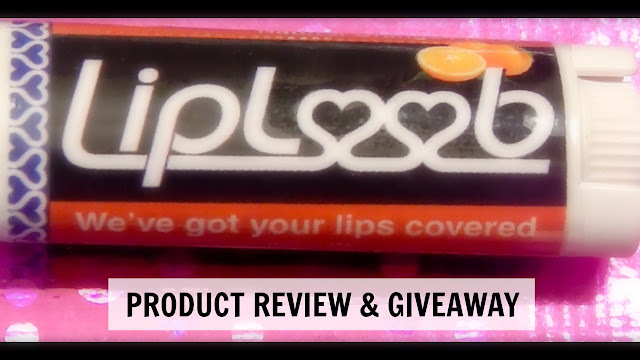 LipLoob Product Review & Giveaway! Hello everyone. Yes, you read the title correctly. I have another giveaway for you guys! Hurray! The company, Simply Solutions was nice enough to send me 2 sets of lip balms so I am giving one away to a lucky subscriber. Before we get into the giveaway, let's discuss these lip balms. Long lasting lip balm that helps prevent chapped lips. Long lasting lip balm that helps prevent chapped lips - This is a definite YES. I can go all day without having to reapply this lip balm. Very rarely, do I have to apply it a second time. The formula has a nice creamy consistency, and it makes my lips feel nice and smooth. Ingredients have anti-microbial properties - Beeswax, Certified Organic Castor Oil, Cherry Kernel Oil, Green Tea Extract, Certified Organic Jojoba Oil, Lanolin, Lecithin, Mongongo Oil. The bolded all have proven anti-microbial properties. These are the ingredients in each of the lip balms. All Natural & Gluten Free - Just see the ingredients list above to confirm this. Penetration through each layer of skin - Castor Oil is known for penetrating the skin. It is also a humectant so it attracts moisture to the skin. Lanolin is known to soften dry, chapped, and cracked skin. All in all, I really do like this product and I've been using it daily. It's become a staple of mine and I will continue to use these. Also, Please watch my video review & giveaway video. Thanks for stopping by.